Hi everyone - see the article written by Col Jon Stokes, copied in its entirety below. Congratulations, Maj Noel Luneau and Maj Marc Sobel on your work supporting the U.S. Air Force. You can also see the original article by clicking here. 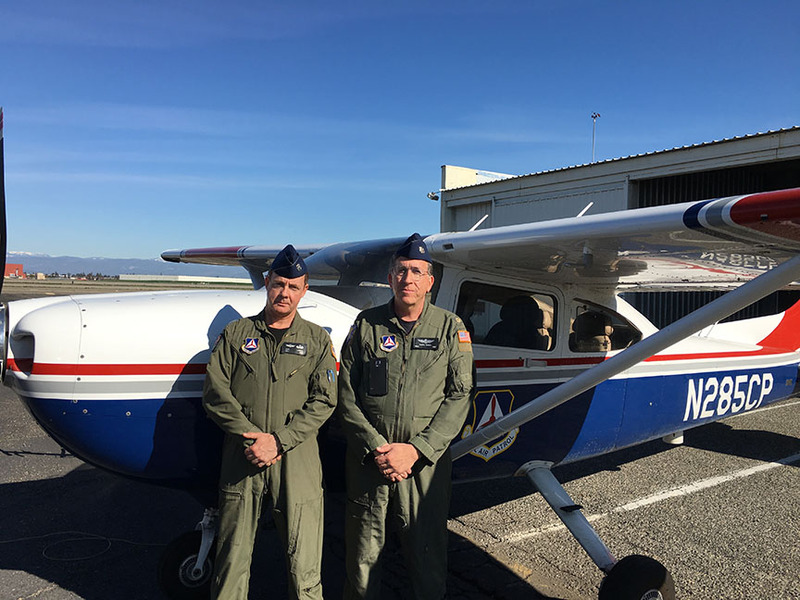 1/26/2016 - Santa Clara, Calif. -- Civil Air Patrol's California Wing will fly Tuesday in Fresno and Feb. 3 in Oakland to help ensure the safety and security of airspace around Super Bowl 50. In order to help train Air Force fighter aircrews and maintain their proficiency, Civil Air Patrol flies its Cessna airplanes into "restricted airspace" to simulate a trespassing aircraft while Air Force jet crews practice intercept techniques. The Air Force pilots fly alongside the CAP plane, make radio contact and guide it out of the restricted airspace. Since the terroristic attacks of Sept. 11, 2001, the Federal Aviation Administration routinely implements "no-fly zones" referred to as a Temporary Flight Restrictions (TFR) around major events like the Super Bowl. Airspace around the venue is restricted from all general aviation traffic for a specified radius to ensure no aircraft enter. The TFR is enforced by the U.S. Air Force, which has fighter aircraft patrolling the area during the time of the restriction. 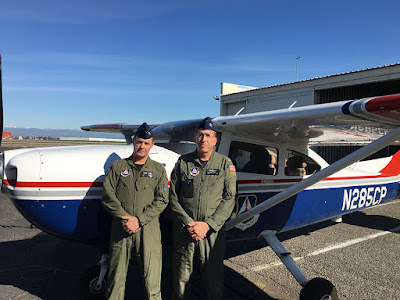 Two Cessna 182s from the California Wing will perform these missions when they fly as intercept targets for fighters from the California Air National Guard. CAP's "low and slow" planes are considered ideal intercept targets for these exercises. A third CAP Cessna will fly "high bird," handling communications from participants on the ground and other aircraft. These missions mark CAP's 15th year as a participant in North American Aerospace Defense Command (NORAD) air-defense exercises designed to protect the Super Bowl's airspace. CAP is involved in similar exercises around the U.S. throughout the year to test airspace security. The exercises, known as Falcon Virgo, are carried out as part of Operation Noble Eagle, launched by 1st Air Force/Continental U.S. NORAD Region (CONR) after the 2001 terrorist attacks. Along with CONR's Western Air Defense Sector and CAP, the exercises are conducted in coordination with the Federal Aviation Administration and Customs and Border Protection. "Civil Air Patrol is proud to again partner with the U.S. Air Force on this vital homeland security exercise. The opportunity to ensure safe skies around Levi's Stadium is a mission CAP takes very seriously," said CAP National Commander Maj. Gen. Joe Vazquez. "Our aircrews are trained to simulate either threat or duress flights that inadvertently or purposely enter into restricted airspace. The Air Force depends on CAP to ensure its readiness in guarding America's airspace." "TFRs are a normal part of general aviation flying, and at any given time there can be 30-40 TFRs in various areas around the country," said California Wing Commander Col. Alan Ferguson, "including whenever the president of the United States flies in Air Force One."